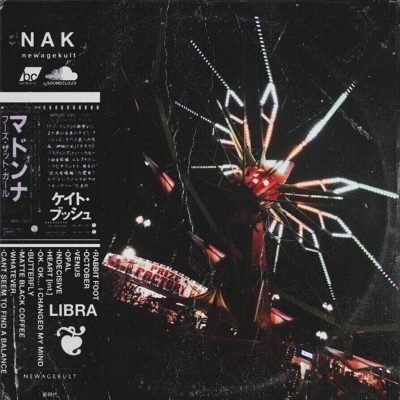 Local producer Kordlhan is at it again with the release of another full-length work entitled libra. The album is a collection of beats, and touches on a wide variety of genres. Most of the tracks fit into the lo-fi realm, using slow tempos and simple samples with repetition. Other songs, like “Butterfly” and “❦<’3 [int. ],” have more of a chillwave and trap sound, both using quick hihats paired with spacey vocal samples. The variation of instruments presented in libra are high-quality but sound like they could exist on two different albums. The lo-fi sound that Kordlhan uses is relaxing, melodic and hypnotizing, and would stand out even better if presented as a single, cohesive collection. “❦matte black coffee” is one of the strongest tracks on the album. Throughout the song, Kordlhan uses a jazzy saxophone sample, guiding the listener through each bar. Unlike most intrumental songs, it doesn’t get too repetitive. With simple variation and unique windchime samples, Kordlhan has crafted a relaxing track that pairs perfectly with autumn colors. The mixture of genres Kordlhan explores in❦libra also varies greatly. The lofi beats are mixed well and have a gritty vibe to them. Kordhan uses quiet samples and tape-pop sounds to bring this feel out in some of these tracks. The other songs on the album are mixed well, too, but when paired with the lo-fi mixes, they stand out even more. Still, it is not an issue that a small volume adjustment won’t fix.